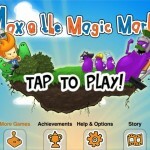 Max & the Magic Marker is a game that never quite lives up to the brilliant mechanic on which it is based. It’s not a bad game. It’s actually a pretty good game. But all the elements of a great game are there. Max & the Magic Marker should be great. But it’s not, and the developers failure to execute on the game’s clear potential will leave you unsatisfied.